Give that special friend a less ordinary gift with our gorgeous friendship earrings. 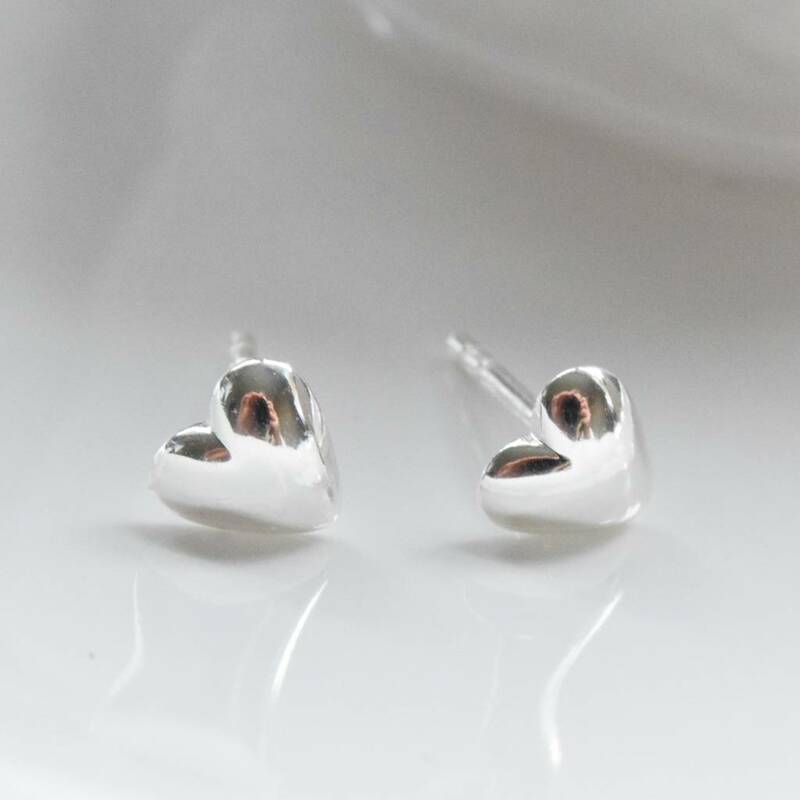 These simple, heart earring studs in sterling silver are a perfect gift for any occasion for a dear friend. 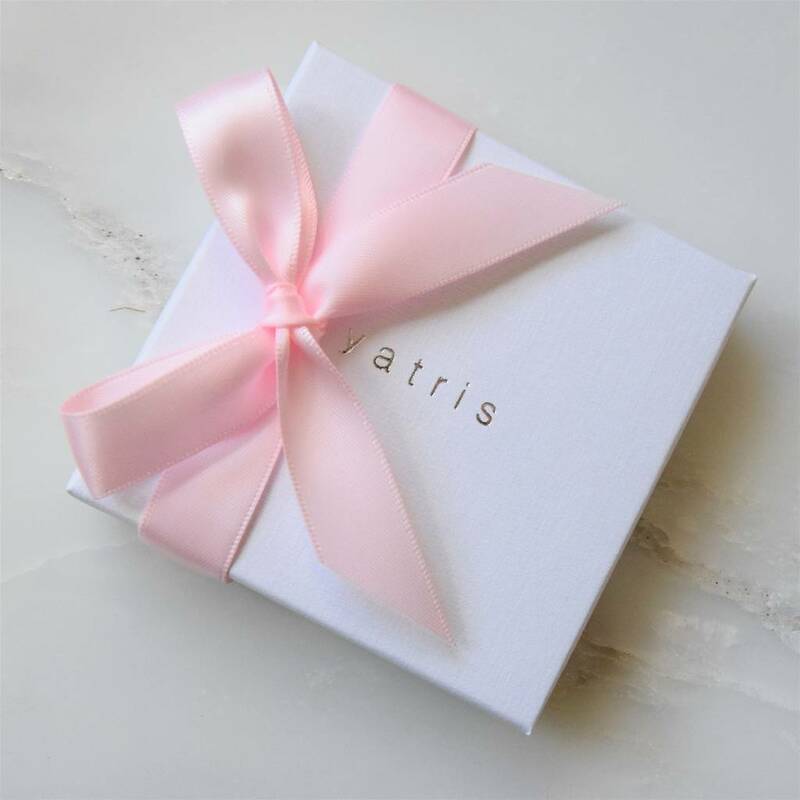 They come in a Yatris presentation box with a pretty satin ribbon included free of charge. 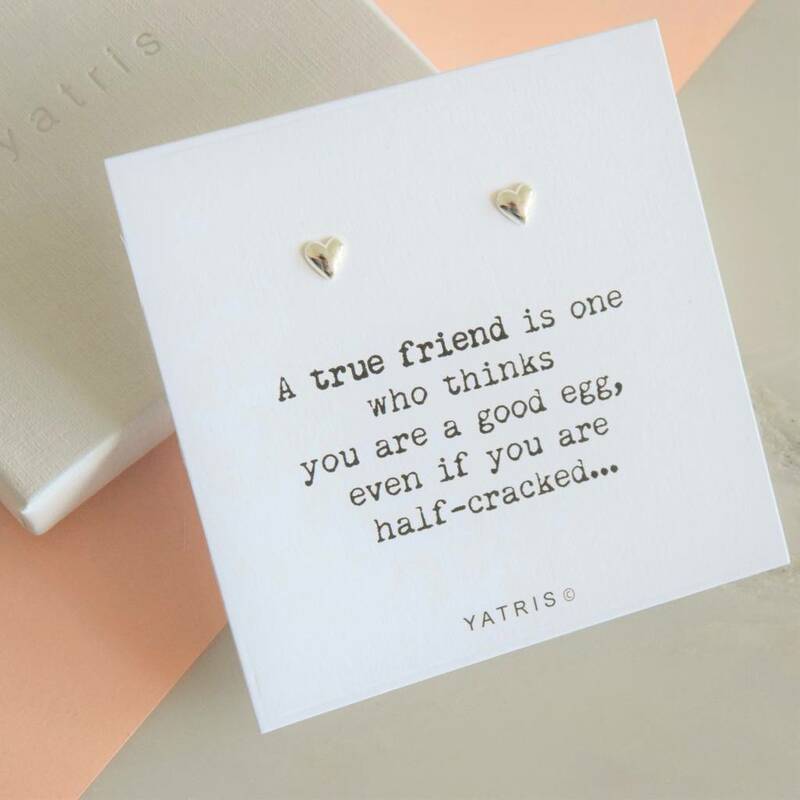 "A true friend is one who thinks you are a good egg, even if you are half - cracked." 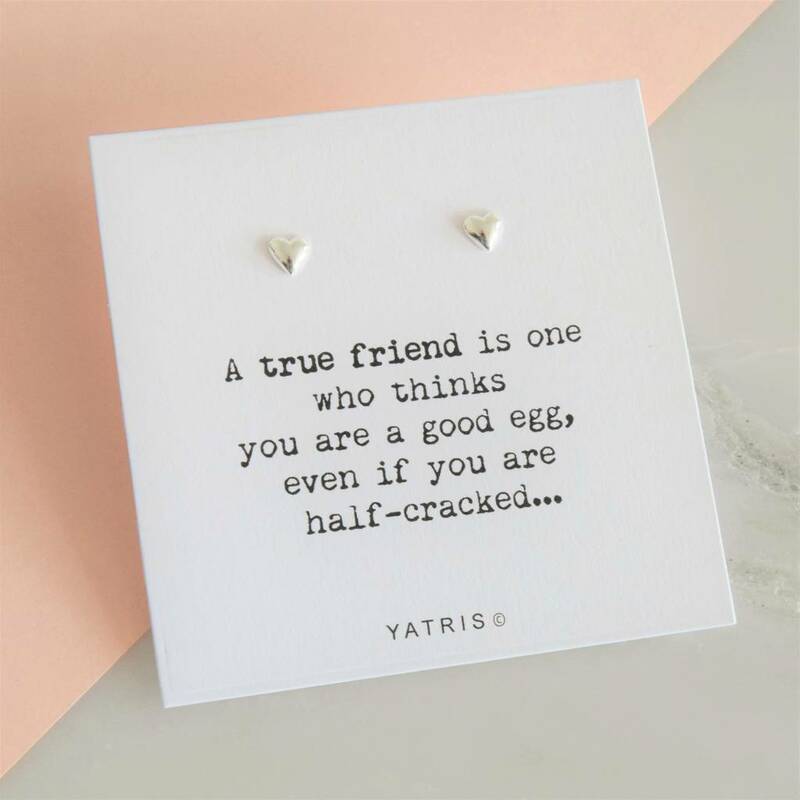 A great gift with a touch of humour!